It is testament to how desperate Milan are for an identity that the players, coach Vincenzo Montella and some fans have clung to twenty-five minutes against Inter as the real evidence of the real Milan. Those twenty-five minutes in the second half resulted in two Milan goals, an Andrea Silva shot against the post, two brilliant Samir Handanovic saves, but also unforgivable--and unforgiven--mistakes. "If we play like this again, we will not lose," Montella said after the game. That may be true, but Montella seemed to be glossing over the overwhelming evidence that Inter interpreted the game, its rhythm, better than Milan did. They soaked the pressure when they had to, and applied it when they had to. And when they did concede, they sliced through Milan several times right after. Those twenty-five minutes in the second half, during which Milan were running right through Inter, need to be sustained throughout ninety, but can they be? They seemed to have been realized through adrenaline rather than geometry, and it showed. 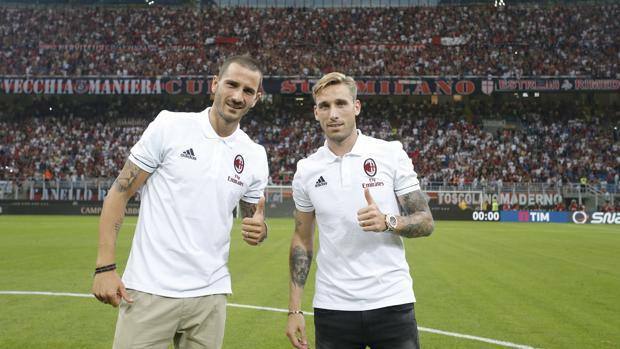 When Lucas Biglia lost the ball in midfield, it was inevitable that Milan would concede because the team was overcompensating. The derby defeat is particularly painful also because Biglia, apart from the mistake, didn't have the regista's presence in midfield. He didn't leave an impression on the game the way Inter's Borja Valero did. To compound Milan's problems, Leonardo Bonucci, the other experienced head on the field, played two or three steps slower, a sluggishness that Mauro Icardi didn't forgive. Things may start turning around for Milan starting with the next two games against Genoa and Chievo, but only if those twenty-five minutes against Inter can be fine-tuned and used to forge a distinct identity. The season is long, but it can turn out to be much longer if Montella isn't able to put out a team that can capitalize on what have been fleeting moments of superiority. "I think we could have even won considering the chances we created," said Montella, in yet another example of special pleading. It is true: Milan could have won based on the chances they created, but that's not the point. Those chances have to come from a discernible design. Whether that design is 3-5-2 or 4-3-3 is for Montella to decide, and quickly.